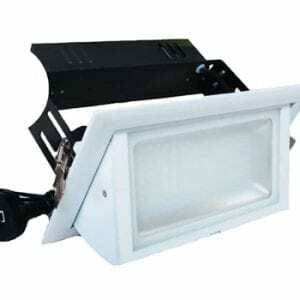 Our OptiTech range of shop lights make switching to LED lighting super easy. The OptiTech shop lights, favoured and used by The Green Guys Group, are available in three varieties; circular, rectangular and circular on a gimble. 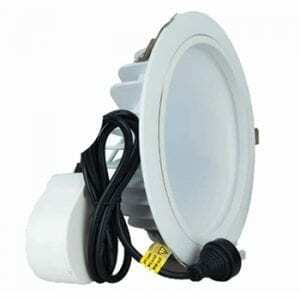 The circular shop lights are generally 6 or 8 inch in diameter and the rectangular shop lights are standardised to one main size. The original light bulbs used in most shop lights are a smaller version of the metal halide light bulbs used in high bays and are either 150 Watt or 70 Watt. 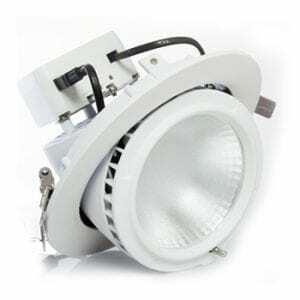 Like the high bay’s we replace the entire fitting with a brand new LED fitting, using a 38 watt LED unit to replace the 150 watt existing unit and a 20 watt LED unit to replace the existing 70 watt unit.